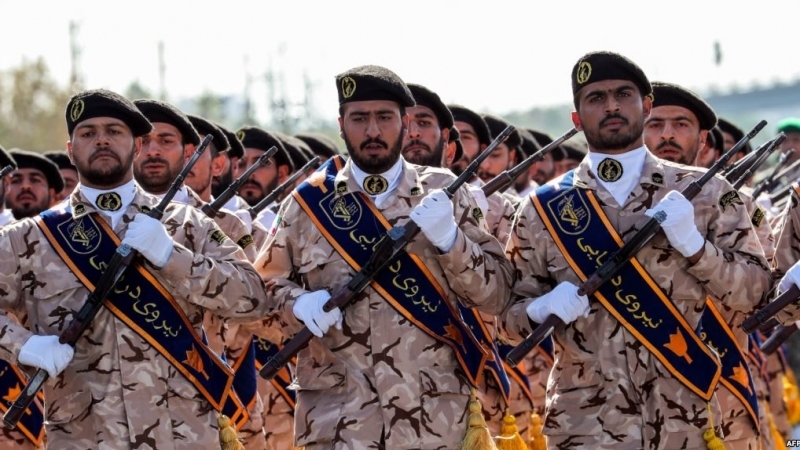 In a long list of outrageous pronouncements and actions, the latest by the Trump regime on April 8 to designate Iran’s Islamic Revolutionary Guard Corps (IRGC) a “foreign terrorist organization” is the most outlandish. Islamic Iran’s leaders reacted angrily to the illegal and nonsensical designation. The Rahbar, Imam Seyyed Ali Khamenei said Washington’s decision is rooted in America’s “rancor” against the IRGC, which has been at the forefront of the fight against the enemies of Islam and Iran. The Rahbar made the announcement during a meeting with IRGC personnel and their family members in Tehran on April 8, the same day that US Secretary of State Mike Pompeo made the announcement. The meeting with the Rahbar was held on the eve of IRGC Commemoration Day. 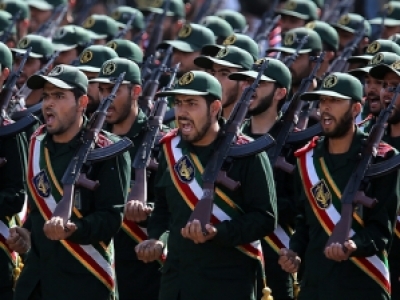 The Rahbar said the Revolutionary Guards were on the frontlines of the fight against enemies both inside and outside of Iran. “The IRGC is the vanguard both on the field confronting the enemy on [Iranian] borders and even several thousand kilometers away [in Syria] as well as on the political battleground against the enemy,” he said, adding that Americans hold a grudge against the force for that reason. Informed observers were quick to point out that the US designation instigated by the Zionists is not only illegal it will put at risk American military forces in the region. Most of these forces are operating illegally, as in Syria. Both the Pentagon and the US military opposed this designation aware that it would jeopardize their forces operating abroad. In retaliation for the Trump regime’s hostile act, Iran’s Supreme National Security Council (SNSC) has designated the US Central Command (CENTCOM), as a terrorist organization. CENTCOM forces operate in the region. The IRGC is the military arm of the Islamic Republic and its function is to defend the borders—physical as well as ideological—of the Islamic Republic and the Revolution. But Trump is a certified moron. This idiotic man does not realize that the US is no longer relevant in world affairs. Two regimes—Zionist and Saudi—welcomed the US announcement. Both are illegitimate and their days are numbered. But sensible Americans, among them Colonel Larry Wilkerson, chief of staff to former US Secretary of State Colin Powell, chastised Trump’s decision. Speaking to RT television (April 9), Wilkerson said that Trump has made a terrible decision and it would cost the US dearly. It would even antagonize friends, much less people already hostile to the US. He reminded the world of US support for the terrorist group ISIS saying its leaders are still being protected by it. He also pointed to the shooting down of Iran Air Flight 655 over the Persian Gulf on July 3, 1988. Two missiles fired from a US frigate Vincennes killed all passengers, including women and children, and crew on board. The shooting constituted a war crime. The Iran Air plane was in its designated flight path. It also needs recalling that US sanctions against Iraq from 1991-1996 resulted in the death of 586,000 Iraqi children. They either starved to death or died of preventable diseases by May 1996, according to data compiled by UNICEF. According to Iraqwar count, the US has murdered 1,455,000 Iraqis since 2003, making the US the biggest terrorist state in the world. In solidarity with the IRGC, all members of Iran’s Parliament donned IRGC uniforms today. “Of course, such malice will lead nowhere; and, with their deceit rebounding back on them, the Islamic Republic’s enemies — such as Trump and the idiots... in the US government — are moving toward rock bottom,” the Rahbar said.